When you finish writing a book, you are always worried that upon its publication, some fabulous pieces of information will come forth. No matter how much time you put into telling the community what you are working on, someone will call, or write, “I wish I knew that you were working on that. I have [insert here 100 letters, ten photographs, etc. 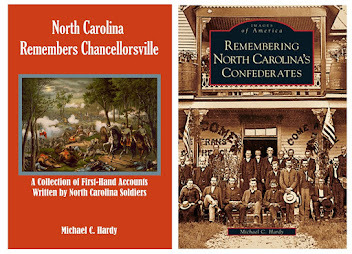 ]” Until this past Tuesday, I was fairly happy with my first book, the one on the 37th North Carolina. Sure, I have, since its release in 2003, come across a couple of photographs that I wish I had had, and I now have copies of the Horton Diary, but this past Tuesday, while doing some research in Lenoir at the library, I came across a piece I truly wish I could have found earlier and gotten into the book. There is no date on this article, probably from the Lenoir Topic. Since one of the authors died in 1917, it must have been written before that time. The authors of the article are Peter W. Turnmire and George W. Triplett. 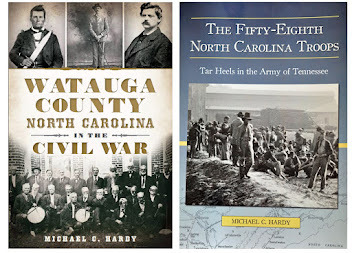 In 1861, Triplett was living in Wilkes County, and Turnmire was living in Watauga County. Triplett joined Company B of the Thirty-seventh on September 14, 1861, and Triplett four days later. If you have read my history of the regiment, or know anything about the regiment, you know that the Thirty-seventh was involved in several of the Seven Days battles in June and July 1862. During the battle of Gaines Mill, around 3:30 in the afternoon, Branch was ordered to send his brigade to the support of Gregg’s brigade. I’ll let Triplett and Turnmire pick up the story. “We threw our pickets along the Chickihominy and crossed and marched up a hill in files of four. About one third of the regiment reached the top of the hill, when the enemy poured a volley into the end of our regiment and we fell back to the foot of the hill. There we formed again and marched up in file of fours; and again they poured a volley into us and again we fell back to the foot of the hill and formed in a line of battle and advanced to the top and dropped on our knees and began firing at the enemy and pretty soon it looked like the Minnie balls had trimmed all the bushes around me. Late last year, I talked to Skip Smith of the Society for the Preservation of the Twenty-sixth North Carolina about their 2009 preservation project. They were discussing a couple of different projects. If you will recall, back last May I had the distinct pleasure of participating in a program at the History Museum in Raleigh. That program was to welcome home the flags of the 26th NCT, 37th NCT, and artifacts that belonged to Bryan Grimes. The living historians and descendants in the reactivated 26th NCT facilitated those items coming to the North Carolina Museum in History. 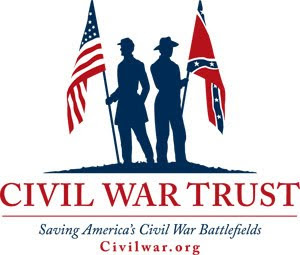 The great folks in the 26th NCT have raised numerous funds to help with various projects, like the monument on the battlefield of New Bern, and preservation of flags from other regiments, like the 47th NCT. For 2009, they have chosen to concentrate their efforts on preserving the remnants of the flag of the 58th NCT, an effort that I wholeheartedly concur with. The Museum of History in Raleigh has remnants of two different 58th NCT flags. The more traditional looking part of the flag comes from, what we believe, the canton of the Second National that the 58th NCT was issued sometime in 1863. 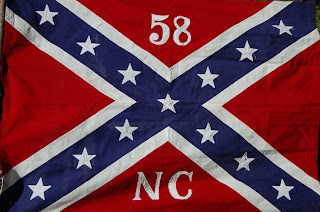 The “58” and the “NC” come from a different flag, an Atlanta/Dalton depot issued flag the regiment received prob ably in February 1864. It would appear that neither flag was captured or surrendered during the war. Both of the above remnants were taken home by Maj. G. W. F. Harper at the end of the conflict, and remained in his family until donated to the museum in 1929. In my mind, I have that the Atlanta/Dalton depot flag was cut up before the regiment surrendered at Greensboro in May 1865, each member of the regiment receiving a piece of the flag, and Harper taking the “58”and the “NC”. However, I cannot prove that at this time. It would be nice if this could be confirmed. Would you not consider helping preserve the flag of the 58th North Carolina Troops? You can go here for more information. The Raleigh Telegram has on article on a free program coming up at the North Carolina History Museum. The program, which is this Saturday, deals with the battle of Antietam and archaeology at the battlefield. You can read more here. There is a upcoming program on North Carolina’s black Confederate pensioners at Zebulon Baptist Church. I could not find a time, but if you are interested, please contact the state archives. Article can be found here. I also found a small mention on the roll of the United States Marine Corps and the battle of Fort Fisher at an article you can find here. Correction folks – the Caldwell County and the Civil War Round Table Discussion is on the evening of March 9, not the 10th. I hope to see many of your there. Folks, for the third time in three months, I am proud to announce the publication of a new book. Mitchell County, a part of the Images of America series, was released last week. 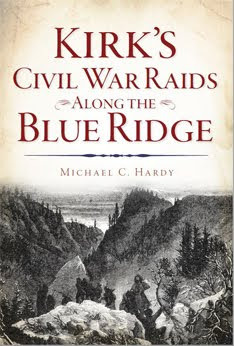 This is the fourth book in this series that I have done (Avery County, Caldwell County, and Remembering North Carolina’s Confederates are the others). Nestled in the mountains of western North Carolina, Mitchell County was created in 1862 and named for Dr. Elisha Mitchell, a University of North Carolina professor who died in 1857 while re-measuring the mountain that now bears his name. Although the appropriately named mountain lies in adjacent Yancey County, Mitchell County has no shortage of claims to fame; it is well known for the Clinchfield Railroad, the Carolina Theater, the Blue Ridge Parkway, the Penland School, and the infamous Frankie and Charlie Silver murder case. There is also much more to Mitchell County than its best known sites and figures. Mica and feldspar mining, the orchard at Altapass, churches, the Wing Academy, Bakersville, and Spruce Pine all have their own unique histories. Time for a little update. Last night, I finished up with the 58th NCT just getting to Branchville, South Carolina, trying to slow down, or stop, Sherman’s march through South Carolina. It took the regiment from January 22 until February 4 to travel from Tupelo to Branchville. That is two weeks. As of today, the manuscript has 72,500 words, which includes text and notes, but does not include appendices. 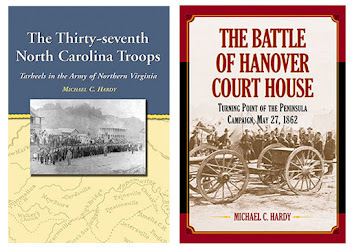 I have a lot of reading to do over the next few days, including Campbell’s When Sherman Marched North From the Sea and Barrett’s Sherman’s March Through the Carolinas. Shameless self promotion – check out this article about my book signing tonight in Hendersonville Blue Ridge Now. We seem to be awash in Lincoln material the past few days. I have been able to catch parts of the celebration of his birthday in the US Capital on Thursday. I only caught the politicians' speeches. I hope the rest of it was better. President Obama’s comments were abysmal. So the Confederates got to take home their guns to shoot crows? I’ll make sure that gets into the 58th NCT book! I also watched about two-thirds of National Geographic’s The Real Abraham Lincoln. Overall, not too bad. However, where were Major Rathbone and Miss Harris when Booth fired his shot? Nicely cast Booth, though. I will probably try and watch some of Stealing Lincoln’s Body this evening on the History Channel. The North Carolina Biblical Recorder got into the act this week also. The Recorder was founded in 1830, and the issues for the War years (1860-1865) contain a wealth of information. When I did research for the book on the 37th NCT, I used several articles culled from the pages of the Recorder. On the back page of last week’s issue, the faith (or lack thereof) of Lincoln is explored. At least the article is straightforward about Lincoln’s beliefs, writing that “Most historians agree on this much: Lincoln was never baptized, never joined a church, and rarely, if ever, talked about Jesus.” I’ll also add that most historians agree that Lincoln did not become a “Christian” until about six months after his death. Well, Mr. President, that is a decision that must be made on this side of the equation. 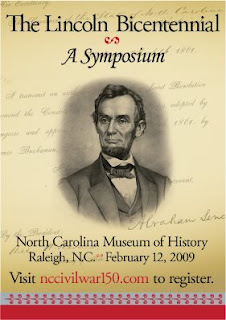 This morning I read an article on the North Carolina State Department of Cultural Resources’ Civil War Sesquicentennial web site about the Tar Heel roots of Abraham Lincoln. The article, by Ansley Herring Wegner, looks into some of the lore that states that Lincoln was born in North Carolina, and that he and his mother, Nancy Hanks, were sent to Kentucky to cover up his illegitimate birth. 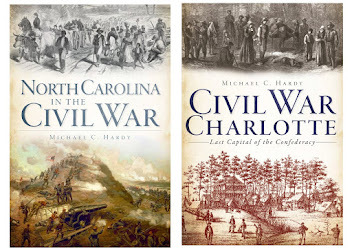 The article mentions some of the research used in the 2003 book Tarheel Lincoln. The article can be found by following this link. Lastly, Jerry Goodnight, the author of The Tarheel Lincoln, has written a follow up book, Looking for Lincoln: Amid the Rumors, Legends, and Lies. My work on the 58th NCT has kept me away from topics not related to the Army of Tennessee, so I have not had a chance to read this book. You might want to check it out. Find more information here. Well, time to get back to the 58th NCT manuscript. The Army of Tennessee is getting ready to cross over the Duck River. Last night, I had a chance to watch the PBS program on Lincoln. And, I was pleasantly surprised. Why cannot more documentaries be as even-handed as the one on Lincoln was? No, I did not agree with everything that was said; I seldom do. But it was great to see so many different sides of Lincoln presented. Henry Louis Gates, Jr., did a beautiful job weaving together the varied elements of the presentation, and he did what few documentary makers do: he gave his guests the opportunity to speak for themselves and did not skew his material to give the impression he wanted (like the newscasters who always find the most pathetic and uneducated person to interview, giving the impression that all the people in that community live under rocks…). He is to be commended. I hope I can say as much for the Diane Sawyer program on Appalachia scheduled for tomorrow. I am not holding my breath. My wife, who teaches Appalachian Culture, is already braced for more of the old “poor benighted hillbilly” stereotyping. I have never liked Lincoln. Maybe it has something to do with growing up in a deep South that was not polluted by modern academia – my dad was the first in his family to go to college, and it was a seminary where perpetuating the Lincoln myth was not high on the minds of the professors. I grew up with the older folks who still remembered their parents, the ones whose homes lay in the path of Sherman and his cohorts. They did not think too highly of Mr. Lincoln, nor his minions. Was Lincoln a tyrant? possibly. Was he guilty of war crimes? probably. Did he overstep his constitutional bounds as president? most certainly. And, it was interesting to hear George W. Bush last night (and I paraphrase) “Lincoln was president during a unpopular war, and I am president during an unpopular war.” True, but the war is not here, in North Carolina, or in New York. Neither did Bush deny American citizens their constitutional rights by throwing people in jail who spoke out against his usurpation of powers. No, I still don’t like Lincoln. I’ve read several books on him. I went through his letters while working on the Hanover Court House book. I’ve even been to the Lincoln Presidential Library and Museum in Springfield. I did research there, and later toured the museum. As museums go, it was incredible. But I disliked the way it made visitors feel that Lincoln needs to be worshiped. If you have been, you probably know what I am talking about. There is a place where you come out of one of the exhibits, and there in front of you is a smaller (but still larger than life) copy of the Lincoln Statute from the memorial. Because of the lighting, and the way it is positioned, you feel like you need to drop to your knees and worship the “Great Emancipator.” That is just wrong. Well, I’ve mused long enough. I’m sure I’ve given plenty of fodder to those who like to toss around labels. It is about that time of year when I start going back on the road. I do not do much in the winter time because the weather here in western NC can be quite unpredictable. Please find below some of the events that I have lined up over the next few months. If you would like to me come and speak to your group, please drop me a line at mchardy@michaelchardy.com or use the contact form to the right. Today, I thought we would turn our attention to Warren County, located in the Northeastern piedmont part of the state. The county sits on the Virginia-North Carolina line. Warren County was created in 1779 from the now-defunct Bute County. The county, and the county seat, Warrenton, were named for Joseph Warren, a patriot and physician killed at the battle of Bunker Hill. 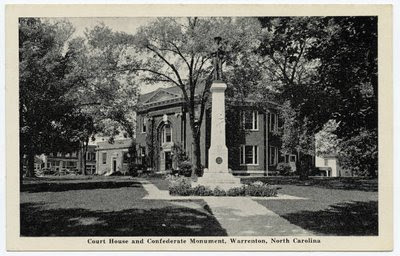 Prior to the war, Warren County was one of the wealthiest counties in the Tar Heel State. In 1860, Warren County had a population of 15,726 people, 10,401 of which were slaves. There 402 free blacks who lived in Warren County. In the 1860 presidential election, Warren County cast 890 votes for Breckinridge, 138 for Bell, and six for Douglas. Weldon N. Edwards, a former state senator and US Congressman, was also Warren County’s representative in the Secession Convention and served as president of the convention. Warren County sent numerous companies into Confederate service. They included Company F, 8th NCST; 2nd Company C, 12th NCST; Company F, 12th NCST; Company K, 12th NCST; Company A, 14th NCST; Company B, 30th NCT; Company G, 43rd NCT; and, Company C, 46th NCT. 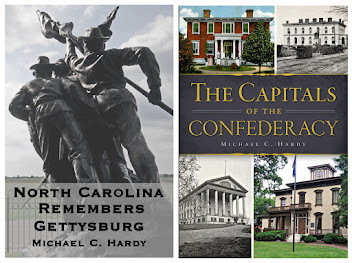 One early history of the county estimated that 1,200 men served in the Confederate army. While Warren County was the site of a skirmish in December 1864, the county is best known for who was born in the area. The Ransom brothers, Matt and Robert, were both Confederate generals. Also, Thomas and Braxton Bragg grew up in Warrenton. 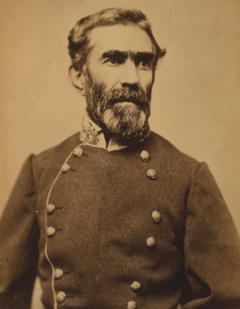 Braxton Bragg was a general in the Confederate army and very unpopular with Confederate President Jefferson Davis. Thomas Bragg was a United States Senator prior to the war and served as Confederate Attorney General in 1861 and 1862. During the war, Warren County was home to John White, a Confederate commissioner who purchased blockade runners in England. His house still stands. Also still standing is the Emanuel Episcopal Church, in which, in 1836, the not-yet=famous Horace Greenly married Mary Youngs Cheney. Greeley would go on to found the New York Tribune. Probably the singular item that Warren County is best known for in Civil War circles is the final resting place of a daughter of Robert E. Lee: Anne Carter Lee. Anne had been a student at the Virginia Female Institute in Staunton in early 1862, when she took ill. Her family sent her to the sulphur springs in Warren County, in an effort to restore her health. She came down with a fever, and on October 20, 1862, she died while at the White Sulphur Springs. She was interred in the resort owner’s family cemetery. Lee visited the grave in March 1870, just a few months before his own death. In 1994, the grave was exhumed, and what little could be recovered was re-interred in the Lee family crypt in Lee Chapel in Lexington, Virginia. Today, in Warrenton, there is a Confederate monument, erected by the United Daughters of the Confederacy in 1913. Folks – Don Ernsberger was kind enough to email me the particulars of a book signing he is having in Raleigh at the Cameron Village Library on Monday, February 23, at7:00 pm. 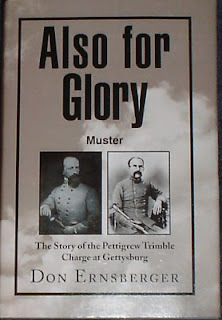 Don is the author of The Pettigrew-Trimble Charge at Gettysburg, a book that I really look forward to reading once I get my book on the 58th NCT finished. If you are in the Raleigh area, please drop by. Folks, I thought we would take a few moments to look around and check on current events relating to the War in the Tar Heels state. There is an article in ENCToday about the plans to move the original CSS Neuse to new facility. You can read about it here. This Saturday, living historians from the 1st North Carolina Cavalry will be at the Gov. Aycock birthplace museum in Fremont. For more info, check here. Also this weekend, the Museum of the Albermarle will hold its annual Civil War Living History. For details, check here. 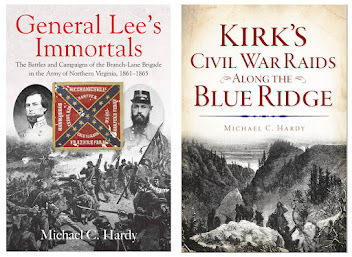 Companies in Confederate and Federal service were made up of men who knew each other. They came from the same locations and were often related. I had a breakthrough last night on my work on two individuals in the 58th NCT. Andrew Jackson Harmon was born July 16, 1833. He was working as a farmer and living in Watauga County when he enlisted on July 7, 1862. On July 29, 1862, his company became Company D, 58th North Carolina Troops. Harmon was AWOL in March and June 1863, but returned the next month. He deserted on September 20, 1863 (walked off the battlefield at Chickamauga?). He later served as sergeant in Company E, 13th Tennessee Cavalry (US). He died on November 16, 1904 and is buried at the Zion Hill Baptist Church Cemetery in Watauga Count., North Carolina. His cousin was, of course, also named Andrew Jackson Harmon. This Andrew J. Harmon was born October 20, 1839. He also was a farmer, living in Watauga County, when he enlisted on August 7, 1862. Harmon was mustered in as a private in Company I, 58th North Carolina Troops. On November 15, 1862, Harmon was given a furlough. He was reported absent on furlough in January and February, 1863, and was listed AWOL in May /June 1863. On January 20, 1864, he was dropped from the rolls of the 58th NCT. Prior to that date, he had enlisted in the 13th Tennessee Cavalry, serving as a sergeant in Company E. Harmon died November 15, 1913, and is interred in the Merideth/Daniels Cemetery in Avery County, North Carolina. Folks, I started this county survey long before the holidays. I am just now finishing it. I could not find much that took place in Clay County during the war. For this county study, we are going to turn our attention to the far southwestern corner of the state and look at Clay County. Clay County was created in 1861 from Cherokee County and named for the Kentucky politician Henry Clay. The county seat, Hayesville, is built on the site of the former Cherokee village of Quanassee, and was not incorporated until 1913. Clay County, population wise, was a small place during the war. Since the county was formed in 1861, there is no 1860 census. In 1860, the area of Cherokee County was listed with a population of 9,166, including 519 slaves. In 1870, Clay County had just 2,461 people living within its borders. Men from the area served in Company G, 25th North Carolina Troops; Co. E, 39th North Carolina Troops; Co. B, 7th Battalion Confederate Cavalry (6th NC Cavalry); and a company in Walker’s Battalion in Thomas’s Legion. There is not a lot of information about the war and Clay County. Apparently, the people in that corner of the state hard a hard time getting their mail during the war (see Raleigh Weekly Standard 30 Dec. 1863). Will you be so kind, Mr. Editor, as to inform Jeff. Davis and his Destructive coadjutors, that, after they make the next draw of men from this mountain region, if they please, as an act of great and special mercy, be so gracious as to call out a few, just a few of their exempted pets from Mississippi, Georgia, and South Carolina, to knock the women and children of the mountains in the head, to put them out of their misery. Assure Mr. Davis that his pets in such a campaign will be in no danger; the poor women and children will be so weak they can’t hurt them. If I find more about Clay County, I’ll revise this post.